A top officer of the KTU said Minister for Higher Education K T Jaleel has proposed to reduce the pass percentage at a high-level meeting recently. 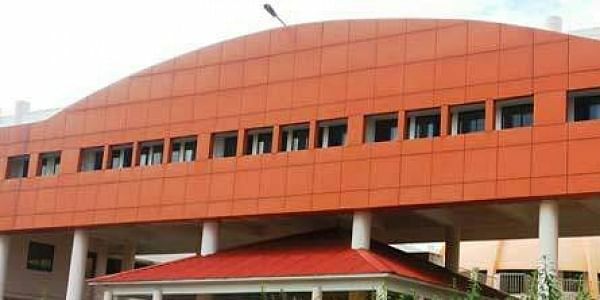 THIRUVANANTHAPURAM: In a bid to improve results in engineering education system, the Kerala Technological University (KTU) will reduce the minimum pass percentage of engineering subjects from 45 pc to 40. Top officers of KTU said the proposal mooted by the government could be implemented from next academic year. Earlier, the minimum pass percentage of each subject was 50. Later it was reduced to 45 owing to pressure from the Higher Education Department following the mass failure which led to non-completion of the degree course. A top officer of the KTU said Minister for Higher Education K T Jaleel has proposed to reduce the pass percentage at a high-level meeting recently. However, no orders have been issued in this regard. Speaking to Express, Usha Titus, Vice-Chancellor in-charge, KTU, said the minister has put forward a proposal and it is likely to be implemented from next academic year. “We had raised some academic issues in engineering education system in the meeting recently. Following this, the minister proposed to reduce the pass percentage. We are also working out a plan to help engineering students improve their academics, including the exclusion of the year-out system,” Usha said. The self-financing colleges in the state which saw a poor performance by students welcomed the government’s proposal to reduce the pass percentage. According to K G Madhu, secretary, Kerala Self-Financing Engineering College Management Association, the move is a positive one. It will prevent students from seeking admission in engineering colleges in other states, he said. “We had been demanding this for the past few years. All universities in the country have reduced the pass percentage to 40 and even 35 pc. Only KTU has fixed it at 45 pc. As a fallout, many students had begun opting for courses in Tamil Nadu and Karnataka owing to the stringent guidelines in KTU. So the proposal will help the students. But it is true the government had to make a proposal owing to mass failure in their academics. Meanwhile, education experts said the government should reduce the minimum credit system which could help students move to the next semester. “Reducing the pass percentage will not make a difference. The minimum credit system for a student to get entry into a semester-based on the marks obtained in a previous semester should be scrapped. Then only, it will help the students. However, the move could be the first step towards a drastic step,” said educationist K N Panikkar. According to statistics, in 2016-17, of the 37,391 students who enrolled in the engineering and technology programme, around 10,000 failed. In 2015-16, the number of students who failed was over 15,000. The number of students who enrolled that year was 41,389 against the total intake capacity of 62,713. The academic year 2014-15 saw 17,876 failures while in 2013-14, it was around 20,000.